As I explained earlier about Foreach Loop Container. One of regular reader of blog send me an email about one issue. Let me share that problem with all readers. With this example, Foreach Loop Container, What to do if we want to save file name along with each row, so we can come to know that which row is from which file ? This is very practical problem that we need to fix. To solve this, I come up with following solution. 1. I used "Derived Column", one of Data Flow Transformations in Data Flow Operations. 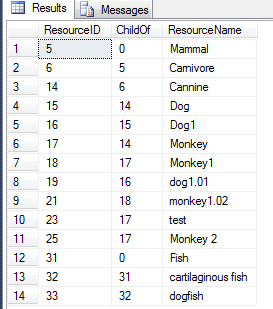 As we have variable, FileName, as defined in, SQL SERVER: SSIS - Foreach Loop Container. Here I used that variable as a new column. By dragging that User variable to Expression. 3. That's it. Now just add it to Destination Column Mapping with your Database column. 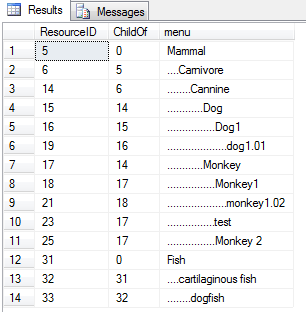 SQL SERVER: What is SSIS? SSIS (SQL Server Integration Services) is introduced in SQL SERVER 2005. It is totally new transformation of data. Previously we have DTS package in SQL SERVER 2000. Now they introduced SSIS with many features. SSIS is an extensive data integration platform which is used to transfer and merge the information from various sources and load to multiple systems. It contains wide range of capabilities. Business Intelligence is used for decision making, future trends based on collected data. 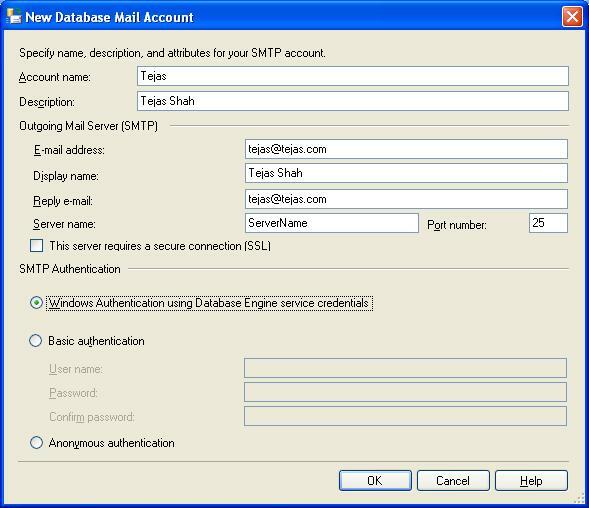 I can find very good article written by Microsoft SQL SERVER MVP, Pinalkumar Dave. He write about BI on his one of the best article: http://blog.sqlauthority.com/2009/10/21/sql-server-introduction-to-business-intelligence-important-terms-definitions/. SSIS packages can be created in BIDS (Business Intelligence Development Studio). I am going to explain all features of SSIS for easy and better understanding by following articles. There was a great event held by Microsoft and PASS (Professional Association of SQL Server) in Ahmedabad on 3rd October 2009. This was very big event where 250+ attendees attend the excellent session of Vinod Kumar, Pinal Dave, Jacob Sebastian and Prabhjot Singh Bakshi. There were Four technical sessions by these excellent speakers. First session is of Vinod Kumar. He is Microsoft Evangelist. There was excellent session of Three hours where he give features of Windows 7 and Office 2010. Second session is of Pinal Dave, SQL MVP. He presented session on the subject - "SQL Server - The Other Side of Index". This was also excellent way to know more about SQL Index. and How to use index. That is really nice session for SQL Developers to know, How to optimize query. It gives proper understanding of indexes. Third session is of Jacob Sebastian, SQL MVP. He presented session on '"The Best Practices for Exception Handling and Defensive Programming in Microsoft SQL Server". This was also very great session where developer can get more idea about When exception occur and how to handle that exception. It was presented in a way so all attendees get clear idea about it and understand it properly. Forth and last session is of Prabhjot Singh Bakshi, MCT(Microsoft Certified Trainer). He presented session on "NET Framework 4.0". He also presented very nice session about featured of .Net Framework 4.0. He developed .Net code to give clear understanding of new features. Overall, that was excellent day for Ahmedabad. I hope this type of TechDays scheduled in near future. 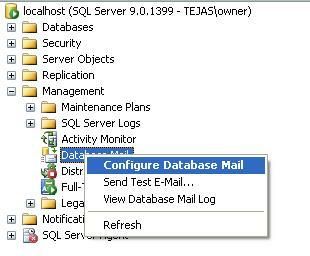 We have a requirements to clear all setup values when SQL SERVER is started/restarted and we need to setup default values to setup table. I found one Stored Procedure provided by MS SQL SERVER. Let me share it with all of you. @ProcName, should be Stored procedure name which should be executed when SQL SERVER is started. This stored procedure must be in “master” database. @OptionName, should be “startup” always. @OptionValue, this should be set up to execute this given sp or not. If it is “true/on”, given sp will be execute every time when SQL SERVER is started. If it is “false/off”, it will not. That’s it, lets take an example. Now, restart SQL SERVICES, and you find that old values will be deleted and new values with ‘X’, ‘Y’, and ‘Z’ will be inserted automatically. I hope this is very clear to use this feature. 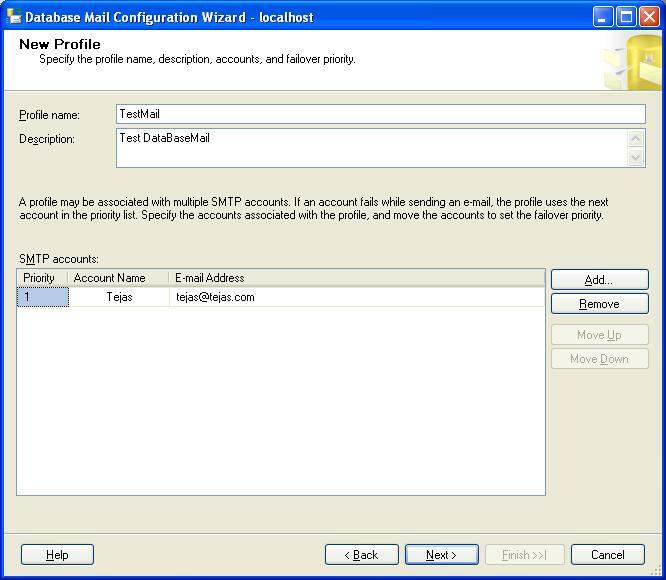 We used Database mail to send mail to client on each updates. 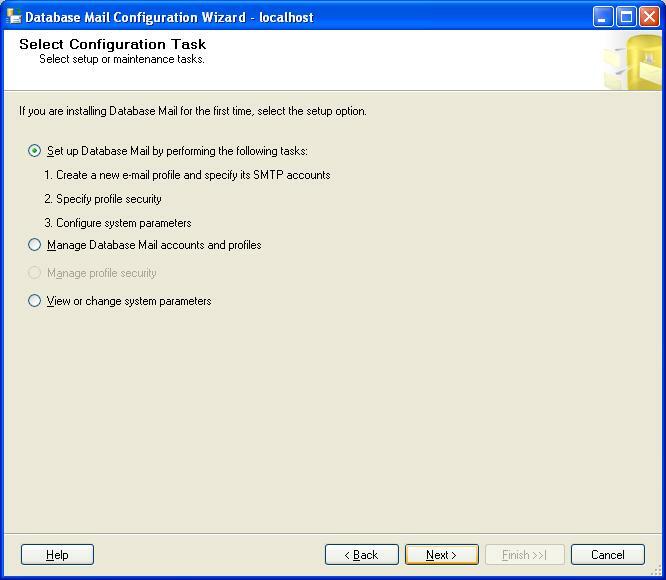 This is a very simple process to configure. 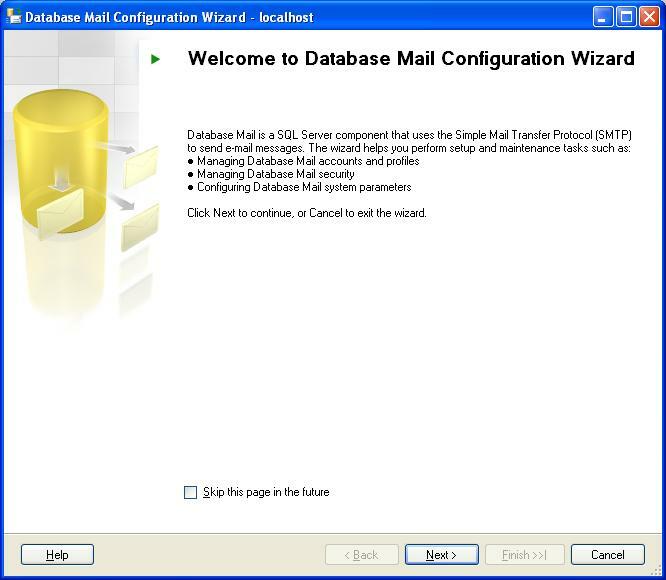 Let me share how to configure Database mail with sql server 2005 with all of you. 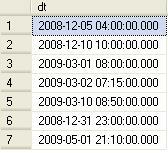 Usually we save Time with Dates in DATETIME column. Today, I came across situation, where I need to sort my result set by Time, regardless the Date. Activity Monitor, is used view to current executing queries, Query status, Start Time, Host, Blocking or not, Database etc. I found that this user need to get VIEW STATE Permissions, Lets see how to give this permission to the user. Step 1: Right mouse click the SQL Server and go to Properties. You need to give GRANT to “View server State’ for that user. Let me know it it helps you. Today i read SQLAuthority.com, and I found that one developer has this issue. Lets see that problem as well as the solution for the same. There is one numeric column. User needs to make sure that all data should be of same size. Like "17.00,12.00,8.17,4.44", these all should be "17.00,12.00,08.17,04.44" like that. So I found REPLICATE function of SQL SERVER, to fix this. How to use REPLICATE function? FIRST parameter, i need TO SET the CHARACTER, which will append it BEFORE the NUMBER. SECOND parameter, how many times this CHARACTER should be ADD TO the NUMBER. Here I specify that there should be 5 length. In this case 8.23 has four digit, so this will add one "0" to this number. We can append any character by just changing the First Parameter, String value.